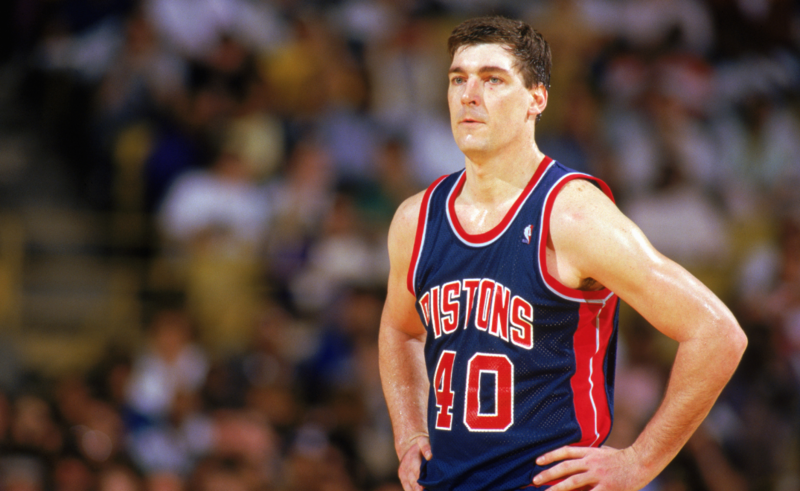 Bill Laimbeer is affectionately known for his role as a ‘Bad Boy’ during the height of the Pistons’ run. He was quite good as an enforcer, and also lived on the boards. However, Laimbeer wasn’t a highly efficient player. He never registered a PER above 20 in any single season. Laimbeer also didn’t protect the rim — as he averaged less than a block per contest over the course of his entire career. Laimbeer was a good player, though certainly not one of the better big men during his time. 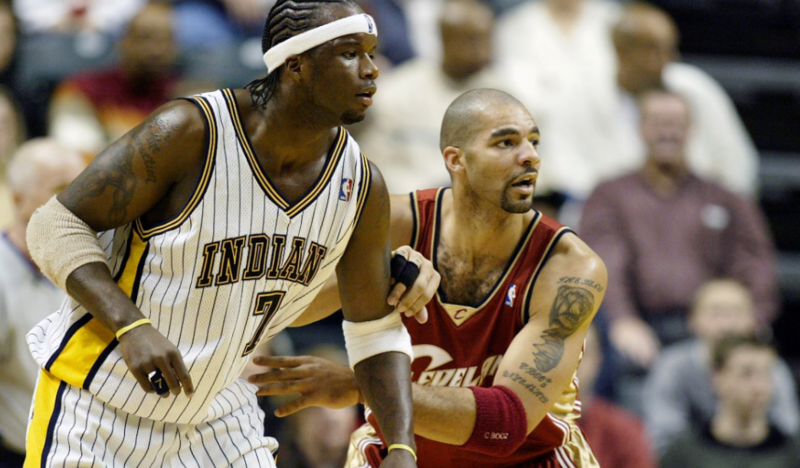 Jermaine O’Neal certainly wasn’t a disappointment with the Pacers. 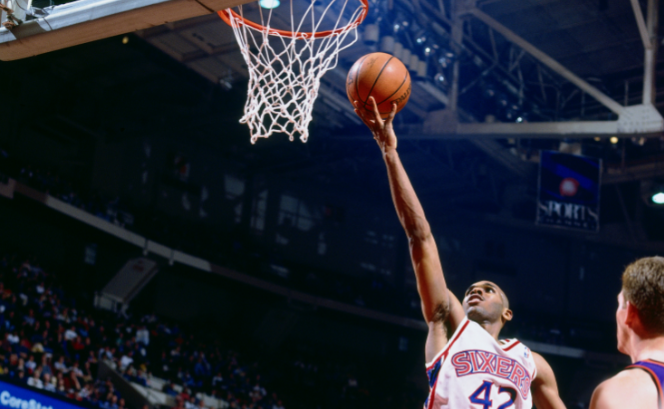 He made six All-Star teams during this time, and was virtually a walking double-double. However, O’Neal shrunk when it mattered most. His career averages were shockingly low (11.6 PPG, 6.5 RPG) during postseason play. This isn’t acceptable for a guy slated to be a franchise-type player. 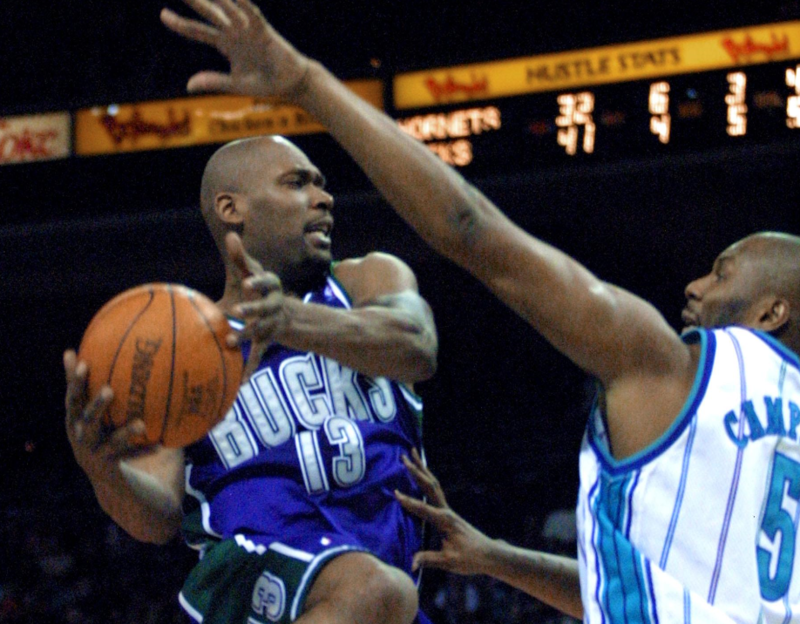 ‘Big Dog’ Glenn Robinson was an elite scorer for the Bucks. He used his big frame to bully smaller defenders, and also had the skill level to score from anywhere on the court. Though he averaged over 20 PPG during his career, Robinson did so with shockingly poor efficiency. The small forward earned only 20.5 offensive win shares over the course of his career. This is rather poor for an ‘elite’ player expected to carry a franchise. Robinson also finished with a career PER of 17.5 and only two All-Star appearances. 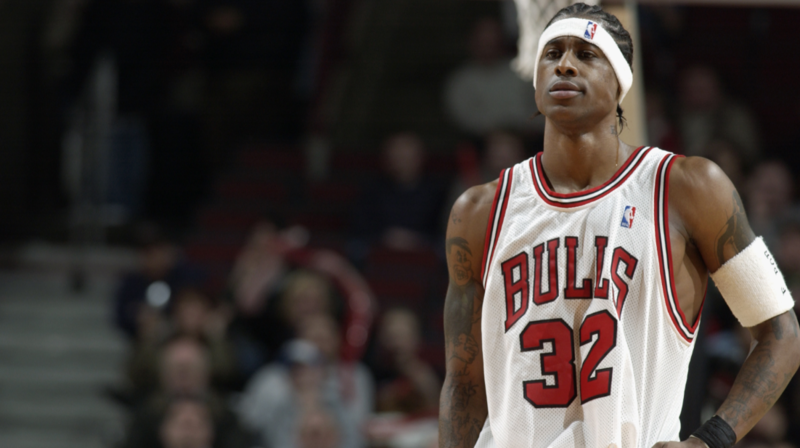 Larry Hughes is the classic case of a guy who failed to live up to expectations. At the time, Hughes’ five-year/$70 million contract was rather eye-opening. He was projected to be the main running mate alongside LeBron James. This never came to fruition, as Hughes was a major disappointment. The St. Louis native was beset by both injury and inconsistency. 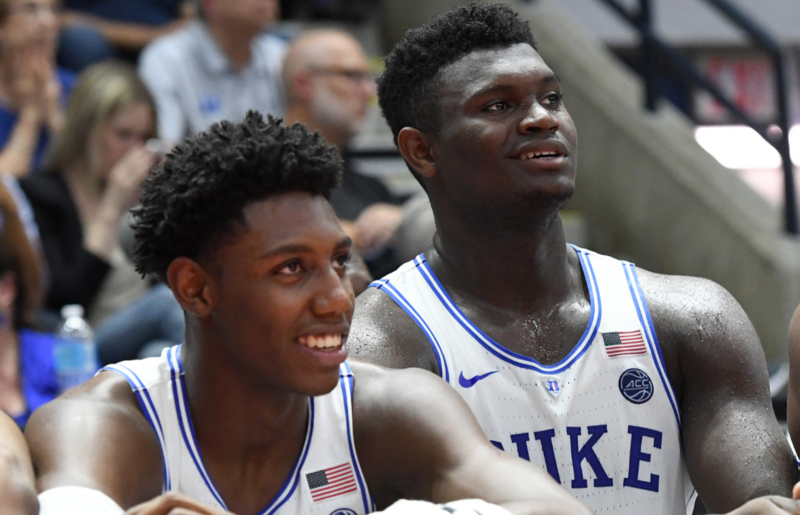 Hughes’ field-goal percentage hovered around 40 percent, and not once did he achieve a PER over 14.0 during his three-year stint with the team. 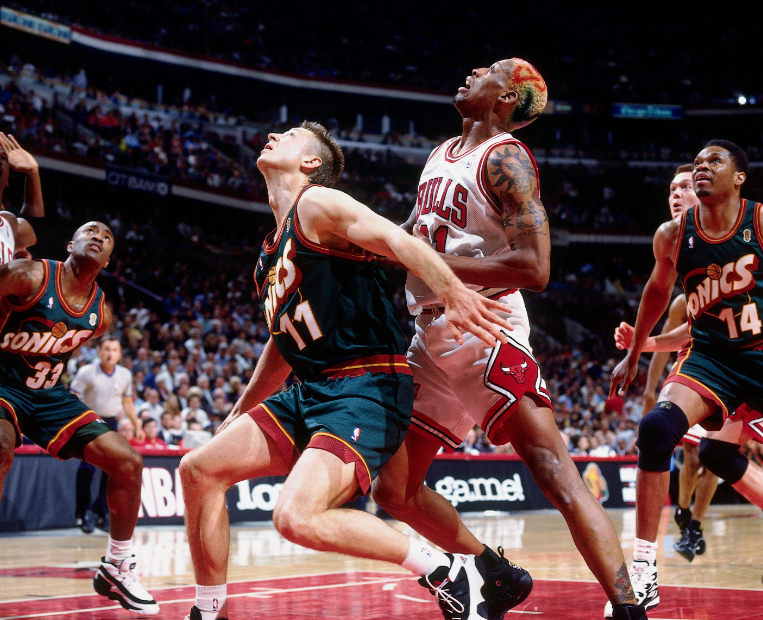 Eventually, Hughes was jettisoned to the Chicago Bulls. Much like Hughes, Eddie Robinson came to Chicago with plenty of hype. The Michigan native was always seen as a player with considerable upside. The Bulls decided to invest $32 million in order to ink Robinson to a five-year deal. The small forward played only three years for the team. He never averaged more than 9.0 PPG in a single season, and was perpetually hurt. Robinson had his contract bought out by the team. The then-27-year-old saw his NBA career vanish before his eyes. Now age 42, he’s recently made a reemergence in the Big 3 Basketball League. 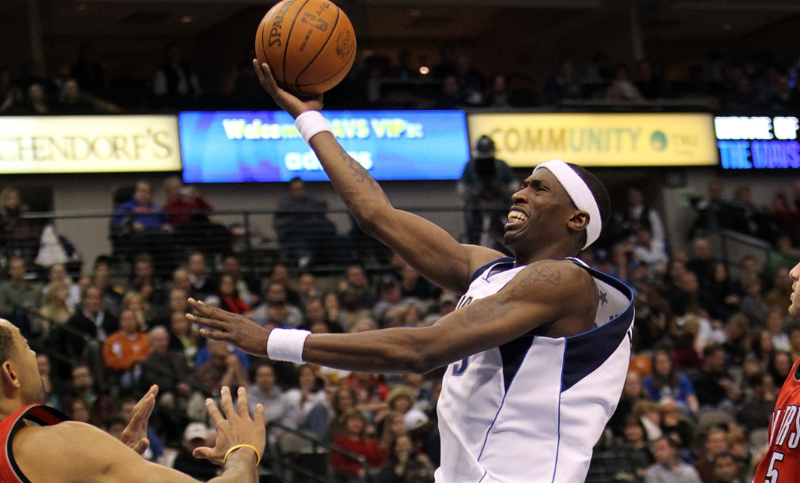 Josh Howard was — at one time — one of the league’s better wing defenders. 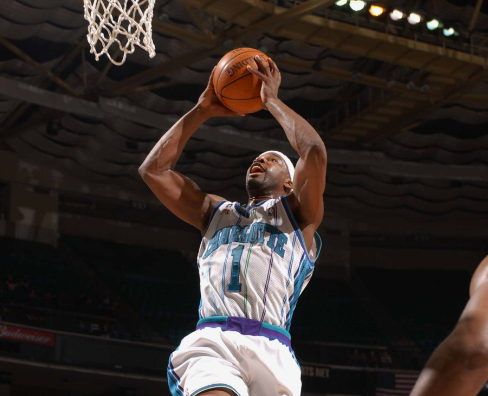 The Wake Forest product made one All-Star team, and had a three-year stretch in which he averaged close to 20 PPG. However, there were varying issues relating to why his stint with Dallas was cut short. For one, he often strayed away from the free-flowing offensive scheme — instead settling for long jumpers. There were multiple playoff series in which Howard was ice-cold from three-point range (career 31.1 percent from three during postseason play). A once-promising career ultimately was cut short in Howard’s early 30s. ‘Stevie Franchise’ was a tremendous talent. No one speaks ill of Francis’ ability to finish at the rim. He was creative with the ball in his hands, and highly explosive when driving to the cup. With all of that said, Francis was an overrated player. His work ethic was always called into question. Additionally, Francis had some issues with his attitude. Francis only led Houston to the playoffs once, and the Rockets ultimately were knocked out in the first round. He’s the classic case of a guy who was uber-gifted, though didn’t really make anyone else better. 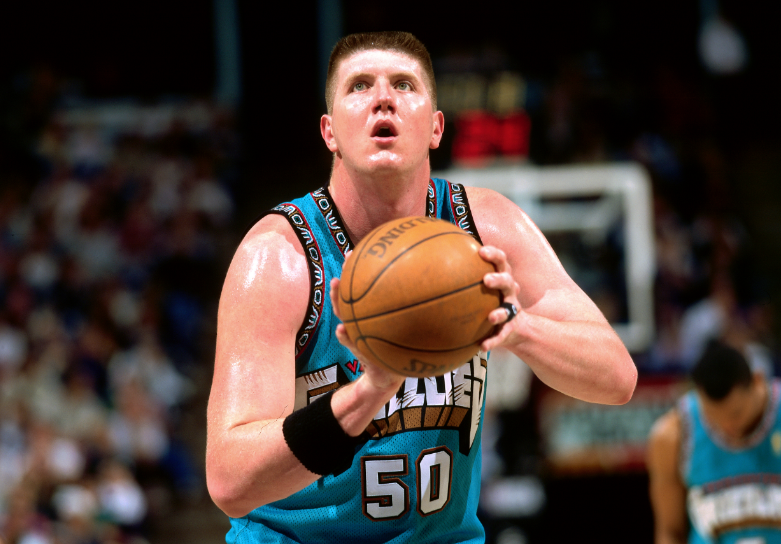 Bryant ‘Big Country’ Reeves was drafted No. 6 Overall by the Vancouver Grizzlies in the 1995 NBA Draft. Many had projected the Oklahoma native to develop into a dominating force in the paint. Ultimately, the skills Reeves demonstrated in college never quite translated to the professional ranks. He played only six NBA seasons. 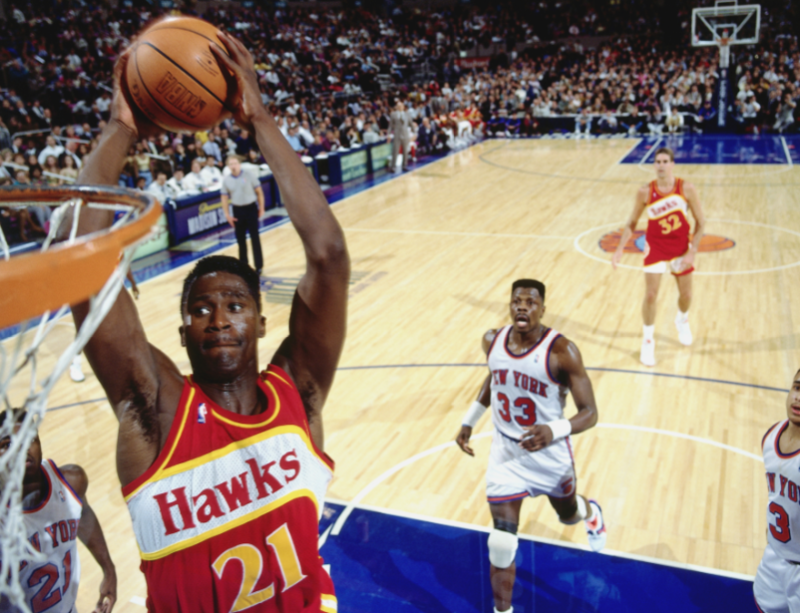 During this time, Reeves — standing at 7-feet tall — averaged only 0.8 blocks per contest. He weirdly enough struggled when it came to rebounding the basketball (career average of 6.9 RPG). Reeves never played an entire NBA season. He retired at the age of 27. Whilst a member of the New Orleans Pelicans, Okafor was rather underwhelming. He entered the franchise after previously being drafted No. 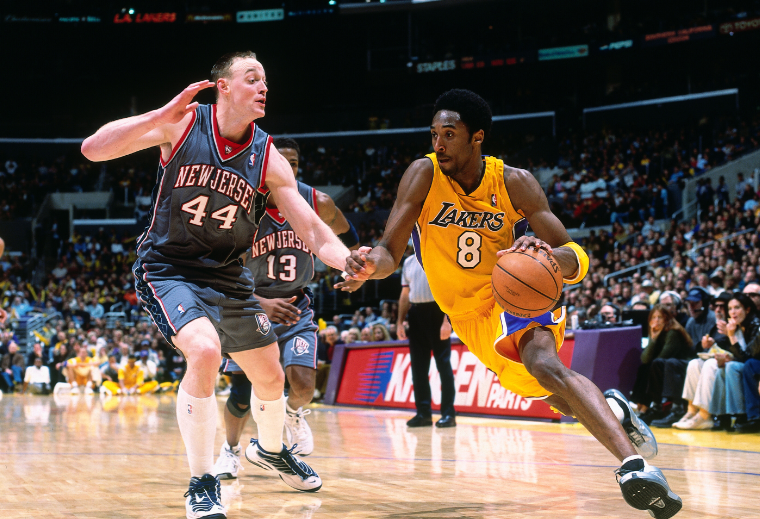 2 overall in the 2004 NBA Draft. Okafor signed a six-year/$72 million deal with his previous team (Charlotte) before being traded to New Orleans. It was a struggle for the big man — as he accrued diminishing stats in every major statistical category. This was particularly alarming from the standpoint he was only 27 years old upon being traded to New Orleans. During his three-year stint with New Orleans, Okafor averaged a pedestrian 10.3 PPG, 5.9 RPG, and 1.5 BPG. Yes, Tony Parker was a winner. He was integral in helping San Antonio win four NBA Championships. He also was a six-time All-Star during this time period. With all of that said, was Parker ever considered one of the league’s best guards? He shot only 32.6 percent from three over the course of his career. Duly, Parker was abysmal on the defensive end. 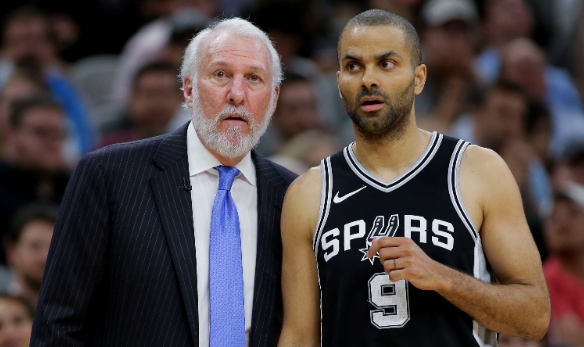 San Antonio’s dynasty was far more influenced by the likes of Gregg Popovich, Tim Duncan, and Manu Ginobili. If we held a global dunk contest spanning over all generations, Wilkins would be a front-runner. But as a basketball player? He was a tad over-hyped. No one could ever question Wilkins’ scoring ability. 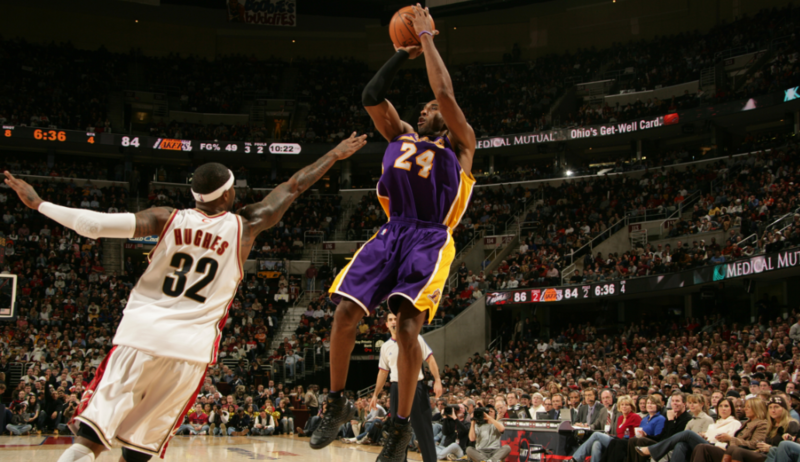 He averaged nearly 25 a game for his career on only 31.9 percent from three. Wilkins could manufacture points in a myriad of ways. With that said, he never got teammates involved (2.5 APG for his career) nor did he really rebound well for his position (6.7 RPG for his career). Defensively, a parking cone might be an apt comparison when describing his prowess on that end of the floor. Baron Davis had some spectacular moments with the Golden State Warriors. He was the main cog in engineering the upset over the heavily-favored No. 1-seeded Dallas Mavericks during the 2007 NBA Playoffs. However prior to that time, Davis was very mediocre with the Charlotte Hornets. 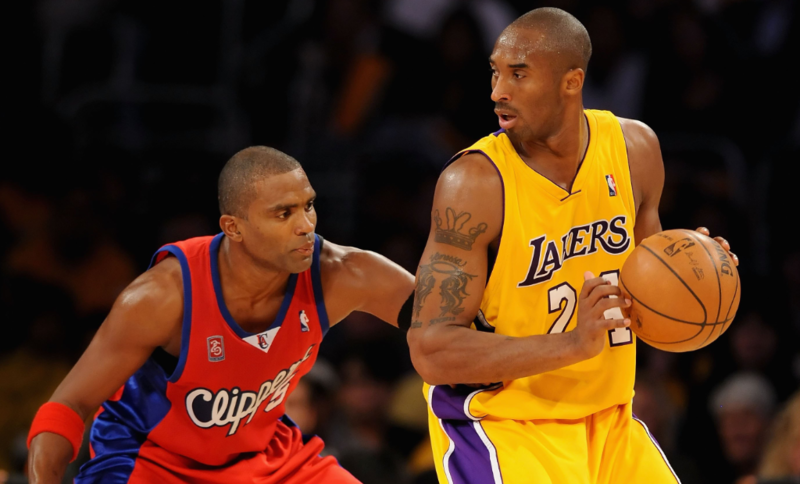 The former UCLA star made only two all-star teams during his tenure with the Hornets. He was a high volume scorer with pedestrian field-goal numbers (40.9 percent for his career). Only once did Davis’ PER exceed 20.0 during his time with the franchise. 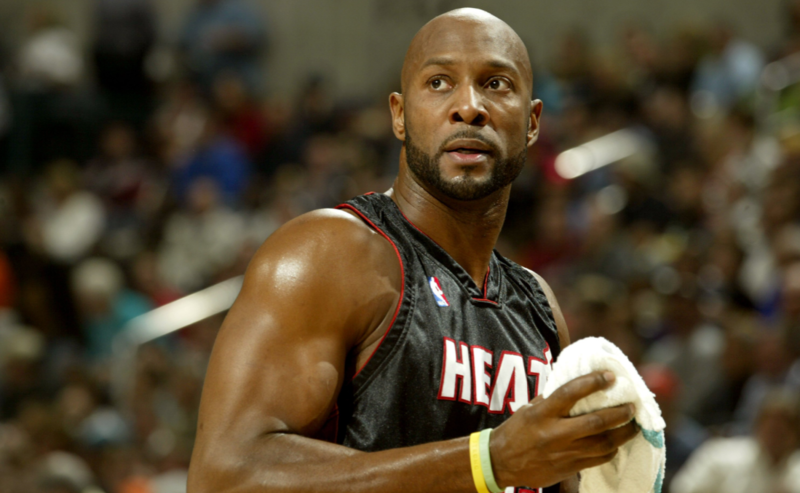 While Alonzo Mourning was a very accomplished competitor, there were some aspects of his game which cater to the ‘overrated’ category. For one, Mourning never played a full NBA season. He struggled to stay on the floor for a myriad of reasons. Despite being an aggressive post player, Mourning only averaged 8.5 RPG over the course of his career. He wasn’t much of a playmaker, either — especially when realizing Mourning averaged a paltry 1.1 APG during his time in the NBA. 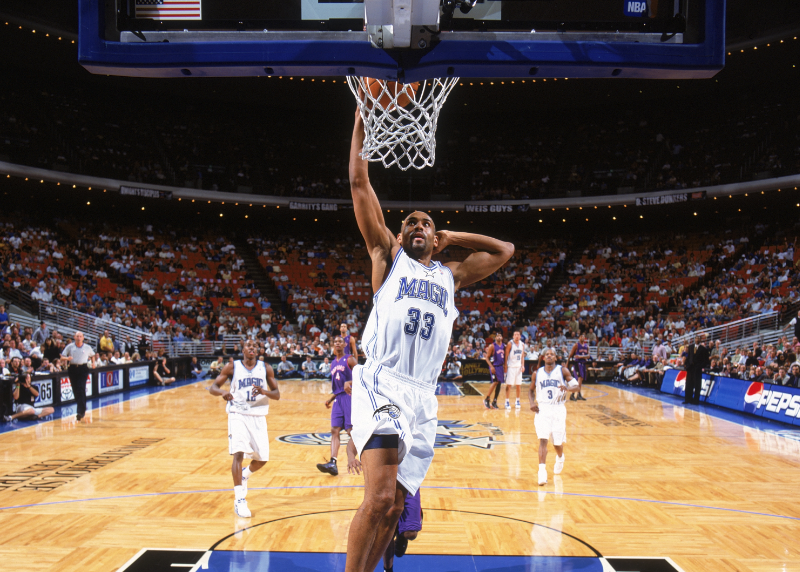 Grant Hill is overrated based upon what he could have been, as well as the contract he inked with the Orlando Magic. Hill was one of the league’s best young talents upon signing a seven-year/$93 million deal with the Magic. However, things quickly unraveled. Hill only played in a combined 47 games during the first four years of the contract. His tenure in Orlando is one of the biggest free agent blunders in recent memory. Though very gifted, Hill simply couldn’t stay healthy. 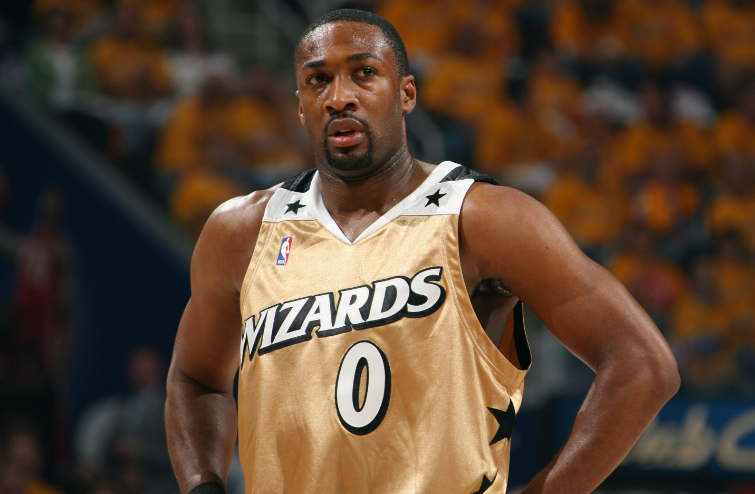 Gilbert Arenas was a highly gifted scorer. A three-year stretch with the Wizards saw the California native put up scoring averages of 25.5, 29.3, and 28.4 PPG, respectively. He shot threes with relative success, and was great at getting to the line. However, there were also a lot of inconsistencies within Arenas’ career. After those monster years, Arenas played a total of 47 games the following three years combined. His defense was non-existent, he wasn’t much of a leader, and really didn’t make any of his teammates better. Even to this day, it’s perplexing to see J.R. Smith get heavy minutes within an NBA team — let alone a starting spot. He’s a player with below-average basketball I.Q. Dating back to his Denver days, Smith struggled with encapsulating any feel for the game. 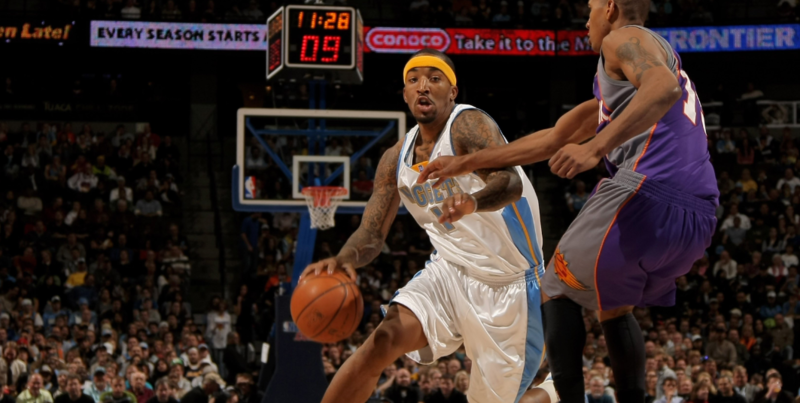 A former first-round pick, Smith was supposed to be the next superstar guard on the roster. He did shoot the ball well from three, and did score decently well. With that said, his PER was extremely average during this time period. Smith never fully established himself as the player he was once pegged to become. Stephon Marbury was eerily similar to Francis. 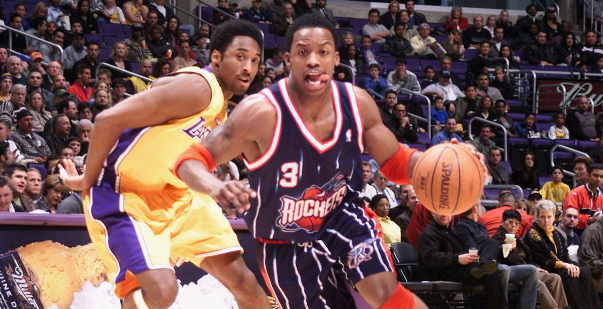 An elite one-on-one player, Marbury could score virtually every time he touched the ball. However, this style of basketball didn’t equate to winning at the highest level. With the Timberwolves, the precocious guard out of Georgia Tech shot right around 41 percent from the field. In the playoffs, these shooting numbers dipped to 35 percent. In both of his playoff series with Minnesota, Marbury registered negative numbers in offensive win shares, defensive win shares, and total wins share. We’re cheating a bit on Schrempf. He didn’t play for the Thunder — though he did star for its former identity, the Seattle SuperSonics. The German forward was both hard-nosed and rugged. He shot a high percentage from three, and was efficient around the rim. However, Schrempf was not exceptional when it came to overall PER (sat beneath 20 in virtually every season with Seattle). He also was useless in terms of accruing any defensive statistic. Whilst in the playoffs, Schrempf’s shooting numbers dropped across the board. He really shouldn’t be considered a big-time wing for his generation — though many are quick to drop that denotation. 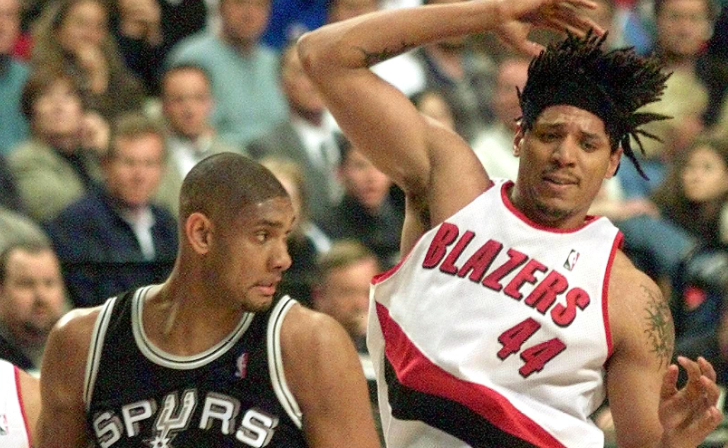 Brian Grant was a bit of an enforcer for Portland. Many were quick to depict him as a vital cog within the Portland machine during the late ’90s. This wasn’t the case when delving into Grant’s statistical outputs. Whilst playing heavy minutes during this three-year spell with the Blazers, Grant averaged 10.2 PPG, 8.0 RPG, 1.3 APG, 0.6 SPG, and 0.6 BPG. There’s something to be said about being a glue guy. However, he was a very average player during this time period. This one might be a bit controversial. 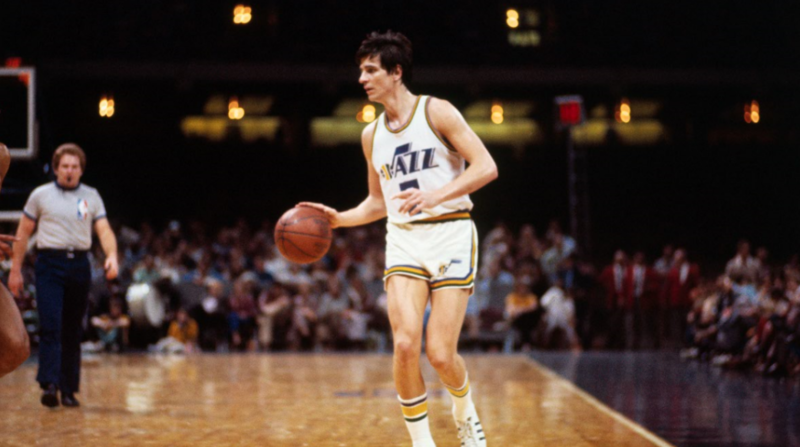 People loved the way Pete Maravich played. He offered a swashbuckling style on the court. This included launching shots far from the basket in the pre-three-point line era as well as cleverly dishing out flashy passes. In a sense, Maravich was a transcendent player. However, his teams were rather bad. Maravich didn’t do much to lift them over the opening round playoff hump. Duly, he turned the ball over at a high rate, and wasn’t much on the defensive end of the floor. There’s something to be said about having supreme confidence as a shooter, though coaches probably didn’t like Maravich frequently launching 25 footers without a three-point line present. The image above is quite apropos when describing Keith Van Horn’s ability on the defensive end of the floor. To put it mildly, Van Horn struggled. It’s almost akin to him being on skates when trying to shuffle his feet laterally. The former No. 2 overall pick, Van Horn never quite lived up to the hype. He did put up multiple seasons with at least 19.2 PPG. However, all other aspects of his game were below-average. This can clearly be seen with a five-year PER average of 16.9, as well as a net negative in defensive box plus/minus. Jerry Stackhouse played the first two-and-a-half seasons of his career with the Philadelphia 76ers (before being traded). 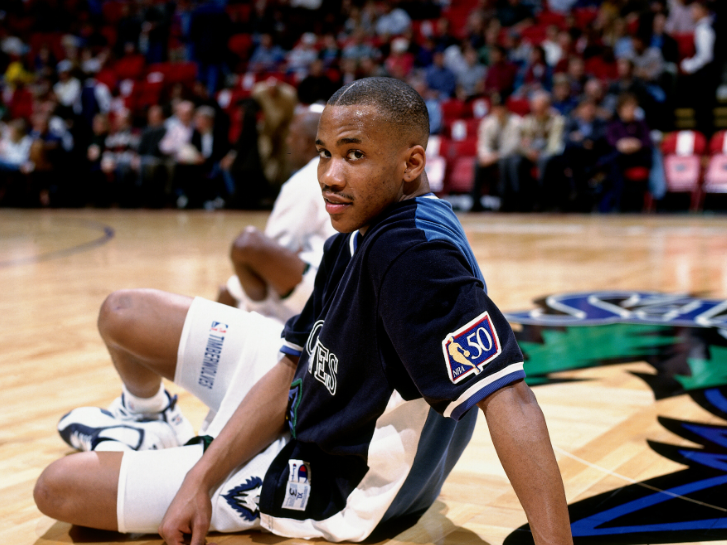 By the time he was a third-year player, Stackhouse had averaged a respectable 20.0 PPG. This appeared great on the surface. However, Stackhouse garnered the ‘chucker’ title during this time. He shot only 41.1 percent from the field, and 30.8 percent from three. The North Carolina native struggled in terms of fitting into a team concept. Stackhouse’s PER sat at 14.4 during this time period. Unfortunately for Philadelphia, Stackhouse wasn’t the franchise player it was expecting upon drafting him No. 3 overall in the 1995 NBA Draft. We don’t want to throw even more salt in an open wound. 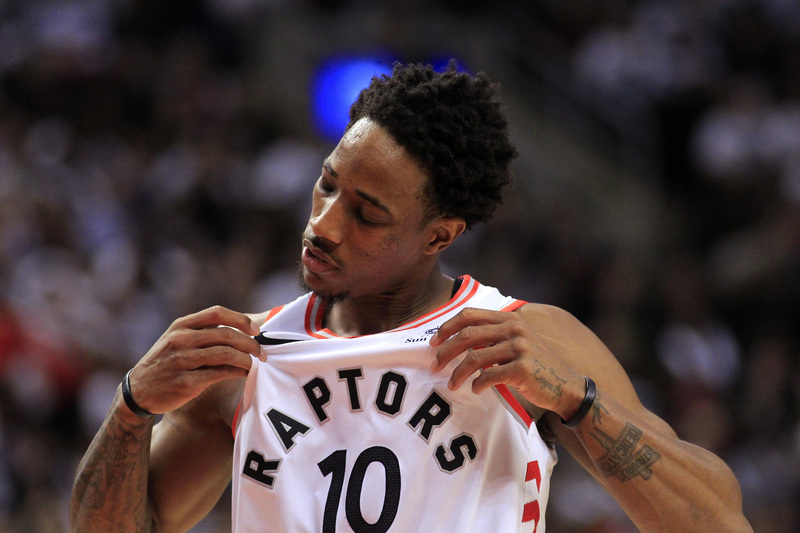 For as great as DeMar DeRozan was for the Toronto Raptors franchise, he remains as an overrated player. Stylistically, DeRozan resembled a ’90s guard rather than a player in the current era. He settled far too often for mid-range jumpers rather than shooting the three ball. When launching threes, he connected on only 28.8 percent of them throughout his career. DeRozan is below-average as both a rebounder and facilitator for others. In the playoffs, DeRozan’s long been known as a choker. As a leader for Toronto, his teams repeatedly underachieved in postseason play. This could be attributed to DeRozan accruing bad shooting splits of 41 percent from the field, and 23.5 percent from three. He’s not good enough to be a top-15 player — though he’s inexplicably in the discussion for that billing. Before Latrell Sprewell was playing alongside Kevin Garnett in Minnesota, he was chucking up shots in the Bay with Golden State. It resulted in rather bad PER numbers across his six-year stint in Oakland (16.0). In his last season with the organization, Sprewell shot 39.7 percent from the field and 18.8 percent from three on 19.8 shot attempts per contest. 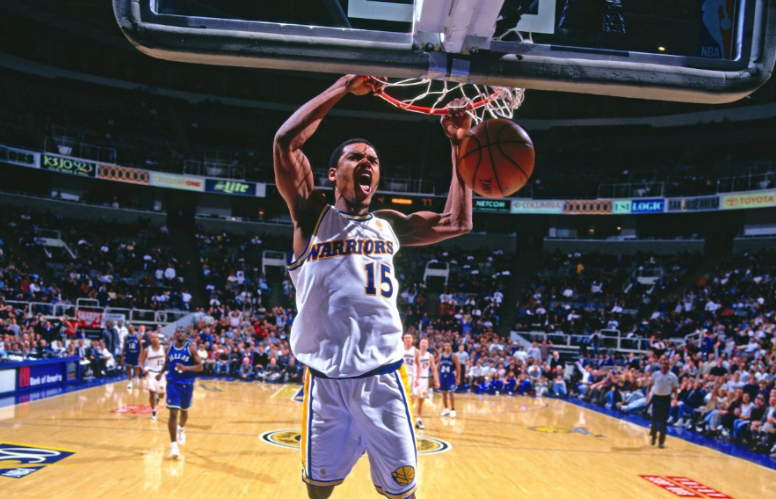 Sprewell may have averaged 20.1 PPG over this time span, though it didn’t lead to much in the way of winning. The guard featured only once in the playoffs with Golden State. 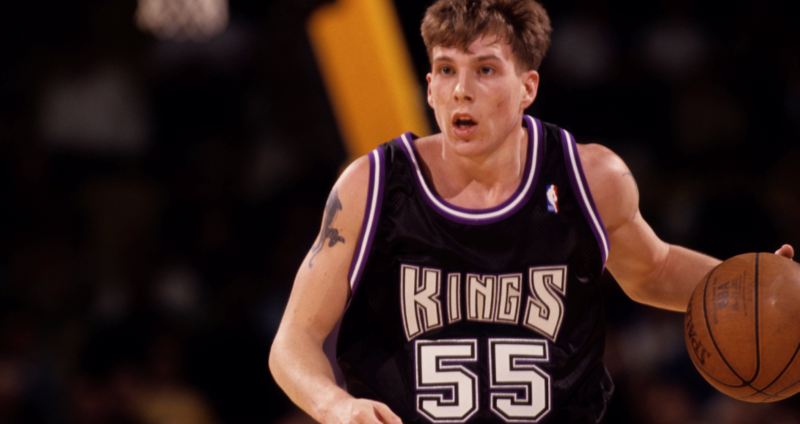 Jason ‘White Chocolate’ Williams was immensely fun to watch. Williams resembled an artist on the court, as his precision with perfectly-timed passes was phenomenal. Along the same lines, he’d do things that only a handful of players would even attempt — let alone do. 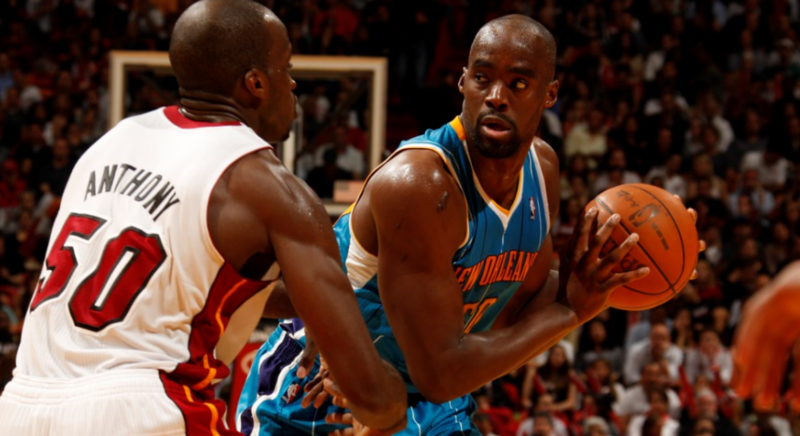 For as creative as Williams was in terms of passing the basketball, he had his flaws. For one, Williams shot shockingly low from the field (38.4 percent) and from three (30.1 percent). His three-year tenure with Sacramento featured a collective PER of 12.3. Though Williams was above-average in terms of getting steals, he was a liability in terms of on-ball defense. Marcus Banks was not a great basketball player. Half of you reading this piece may have no recollection of him being an NBA player. 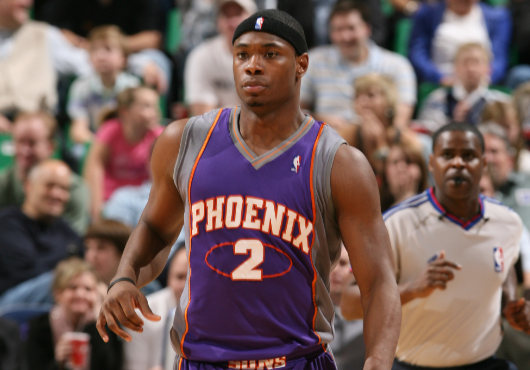 However at one point, Banks was given a five-year/$21 million deal by the Phoenix Suns. We’re calling him overrated in correlation with the contract he signed. The former UNLV guard rewarded Phoenix by averaging less than six points per game on 34.4 percent from three and 43.9 percent from the field. He ultimately was traded during year two of his deal to the Miami Heat. In other words…this transaction did not work out. Cuttino ‘Cat’ Mobley was a very productive player for the Houston Rockets. In fact, he was one of the more underrated players at his position during his prime. We’re judging him solely based upon his time with the Clippers. We realize he wasn’t the same sort of player. Mobley’s athleticism had lessened, and he wasn’t asked to do nearly as much when compared to his time with the Rockets. He signed a five-year/$42 million deal with the Clippers. As such, he was expected to be an All-Star level guard. This never came to fruition. Mobley played four years with the Clippers — averaging 13.8 PPG on 43.3 percent from the field and 36.6 percent from three. He also registered a 12.3 PER from 2005-09. Sorry Boston fans, but Paul Pierce is wildly overrated. He’s not nearly in the same class as Bird, Cousy, McHale, Russell, or even Kyrie Irving. Prior to the original ‘Big 3’ being formed, Pierce had little in the way of success in Boston. 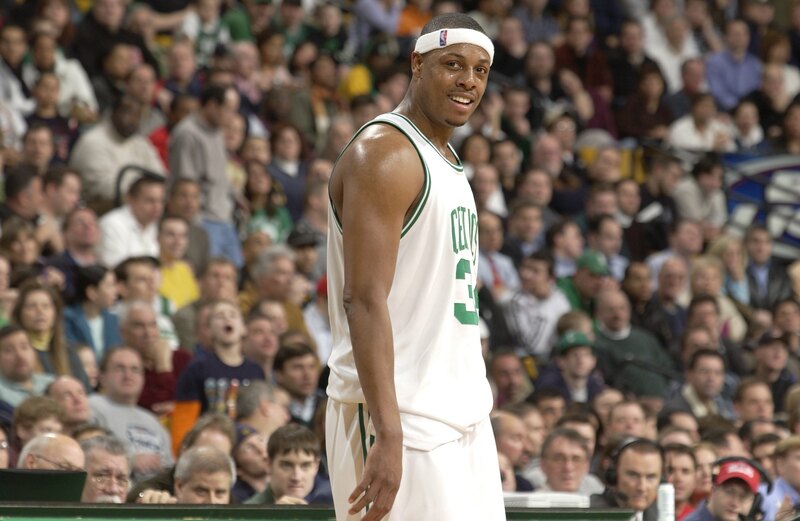 After a run to the Eastern Conference Finals in 2001-02, the Pierce-led Celtics teams bowed out in the first round of back-to-back seasons. Boston then failed to even make the playoffs in two-straight years. This led to the acquisitions of Garnett and Ray Allen. Pierce never made an All-NBA First Team, and was only an All-NBA selection four times throughout his entire 19-year career. While a good player, Celtics fans may have a bloated view of just how good Pierce really was. You had to be expecting this, right? 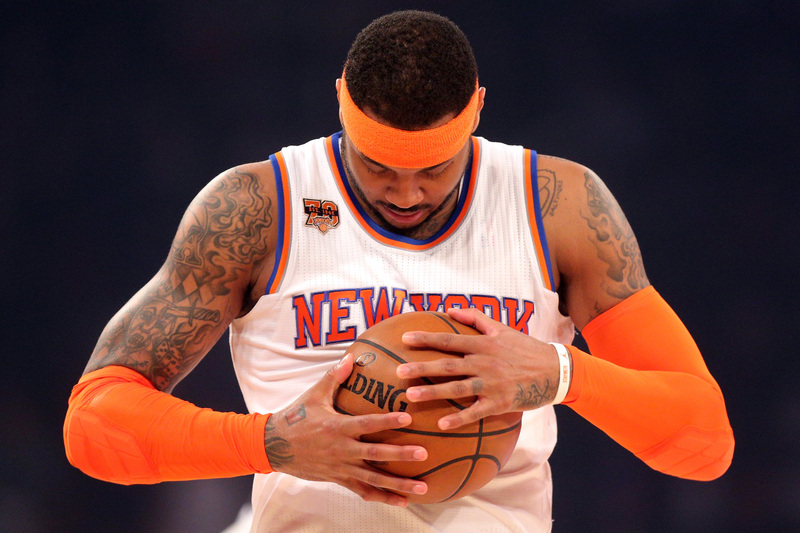 There’s a strong contingent of Carmelo Anthony apologists out there. One can respect the ease with which Melo scores the basketball. When in his prime, he was one of the more skilled forwards in the NBA. However, he did not foster a playing style geared towards winning. Iso-centric, ball-stopping basketball was the name of the game for Anthony. While he put up points in bunches, virtually none of his teams benefited from this method of production. Anthony cared more about personal accolades rather than sharing the basketball for the betterment of the team. Whilst with the Knicks, Anthony made the playoffs three times in seven years. Only once did the team advance beyond the first round. 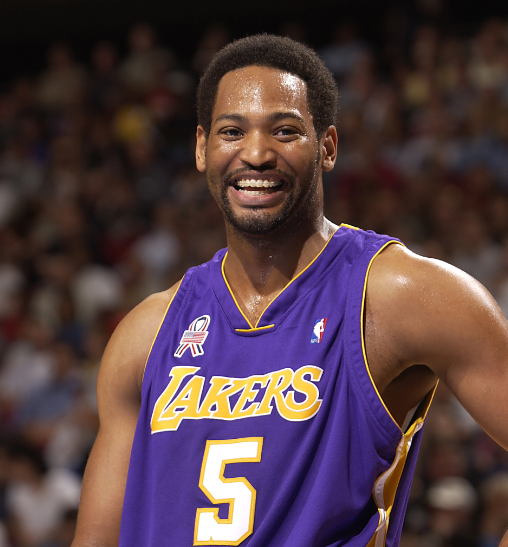 Robert Horry — aka ‘Big Shot Bob’ — is forever known for the game-winning shot versus the Sacramento Kings in the 2002 NBA Playoffs. Over the course of his Lakers’ career, Horry came up big in clutch moments. He was the perfect glue guy. In essence, Horry was a player with floor-spreading capabilities, physicality in the painted area, and a strong basketball I.Q. However, he wasn’t exactly a big-time player by any stretch. During his seven-year career with the Lakers, Horry averaged only 6.4 PPG and 5.4 RPG on 42.1 percent from the floor and 32.3 percent from three. His penchant for being on winning teams is impressive. With that said, he wasn’t exactly a dynamic player by any stretch of the imagination.